My cubicle is my home away from home and since I started this website I have gathered a lot of stats, not the least of which is how often someone reads an article. I love analyzing my Cubicle Bliss statistics because I can really learn a lot about what is really important to people and what they are looking for to supplement their home office or cubicle at work. 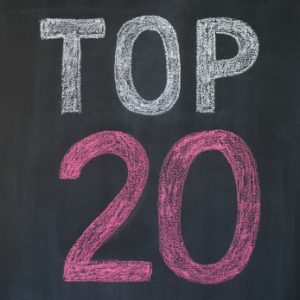 I thought it would be of interest to you, my readers, to highlight the most popular 20 articles in terms of readership that I have written over the years. This list is in descending order of popularity. 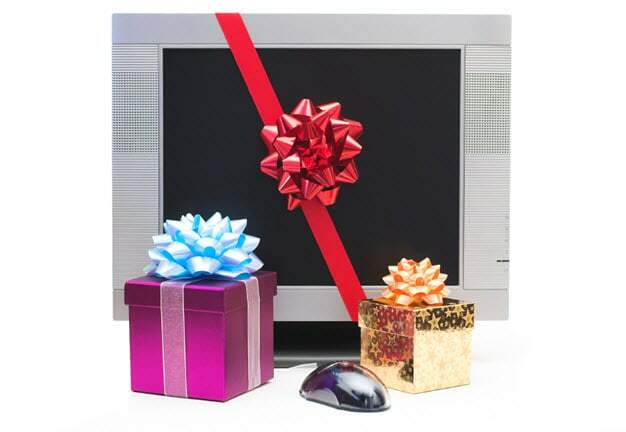 Wait until you get to #1 to see my most popular article and associated product! 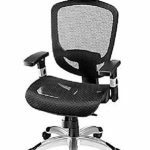 Please note that these articles and links under the images contain an abundant amount of cubicle accessories and cool office supplies which may help you considerably with setting up your office or cubicle. 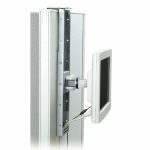 Explore your Options with Flat Panel Monitor Computer Accessories – This is an article including many different accessories associated with your flat panel monitor. Effectively Utilize your Cubicle Walls with a Hanging Letter Tray – A hanging letter tray is a great way of using the walls of your cubicle and considerably expands your office real estate. 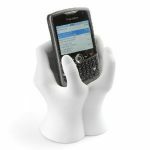 Add a Fun Desk Cell Phone Holder to your Cubicle – With the extremely popular demand for cell phones today, this article highlights a number of really cool cell phone holders that you can purchase for your office or home. Motivational Quotes for your Office Inspiration – I created a cool image of quotes that I have utilized for motivation over the years. Feel free to download the image and post it on your cubicle or office wall. Invest in the Best Office Coffee Maker for your Cubicle – I found this great office coffee maker about 3 years ago, recommended to me by a friend and coffee blogger. I have used it every morning in my cubicle for the past 3 years, it's still going strong, and I love it! 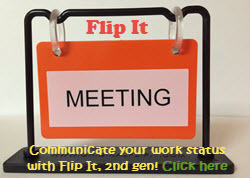 Flip It will Communicate your Work Status Effectively – Flip It is an excellent visual indicator that you can place on your desk, computer monitor, or on your cubicle wall. It will visually let your co-workers your current work status. 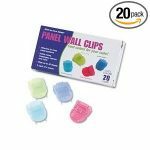 Add Color and Practicality to Cubicle Walls with Panel Clips – Cubicle walls can be extremely dull if they are the traditional grey color. If you are going to add some practical wall clips for hanging items on your dull walls, you might want to have them be both colorful and practical! A Cubicle Window Will Brighten up a Dull Office Environment – I noticed one of these in a co-worker's office and I thought it was a great idea. I have since communicated with the person who developed this rather unique item. It is a great way to add 4 different window views to a dull office cubicle! Keep your Lunch Cold at Work with a Portable Mini Refrigerator – This cubicle accessory HAS TO BE the most important one in my office. I keep my lunch in this refrigerator and it fits perfectly under my cubicle desk. I also keep a jug of cold water in there so I don't have to get up very often to fill it. It's also great for leftovers if you go out to lunch. Keep your Desktop Clean with a Post-it Desktop Organizer – I love PostIt Notes and use them every single day in my office cubicle. This organizer allows me to store so many items on my desktop in a very small footprint. I wouldn't be without one! 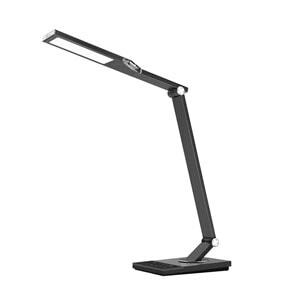 Step up your Cubicle Decor with Cool Office Lighting Ideas – I am very particular when it comes to lighting in my office. 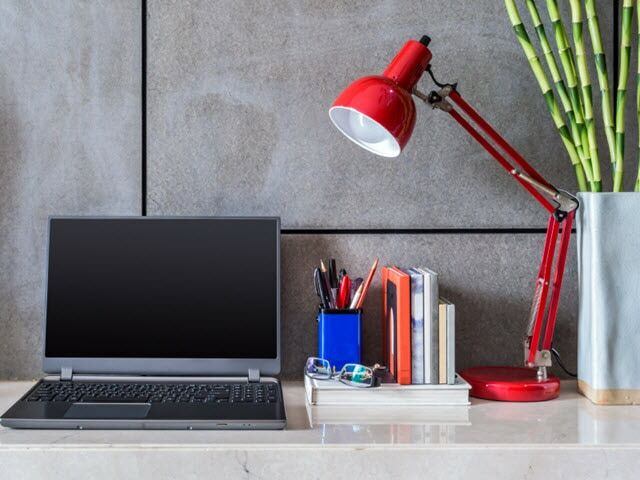 This article presents you with many different lighting ideas for your own office. 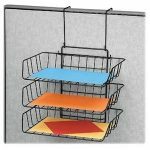 Hang a Wire Paper Tray on your Cubicle Wall – This is a great cubicle accessory that once again utilizes your cubicle walls for extra storage. What's also great is that the files, etc that you store in it are right at your fingertips. Add Some Cubicle Storage with a Hanging Corner Shelf Unit – This VerticalMate hanging corner shelf attaches to my cubicle wall with stainless steel needles. This article shows how to hang the shelf and its versatility! Add Some Storage Versatility with a 2-Way Corner Shelf Unit – This versatile Safco corner shelf unit can be used on its end or on its side which is extremely unique. Check out this article to see the great versatility and storage capacity of this corner shelf. 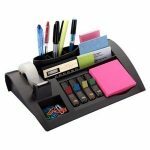 Cool Office Supplies will Rock your Working World – If you want to add some cool office supplies to your cubicle or office, this article will present you with a number of great cubicle accessories to add to your enjoyment and productivity at work. 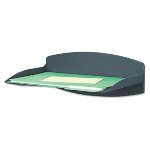 Expand and Elevate your Cubicle Storage with a Desk Shelf – This off-surface shelf is a great option for a cubicle or an office desk. What I do is used mine to store items on it and below it. 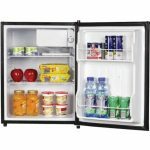 It simply opens up the amount of actual storage space that you have in a small area. 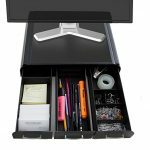 Take Back your Desktop with a Monitor Cubicle Hanger – I must admit, I love my monitor cubicle hanger! I used to take up a whole corner of my desktop with a monitor stand and really couldn't put anything behind it and it took up too much space on my desk. Now the corner of my desk is free and clear and my monitor is hanging on my cubicle wall. Love it! Maximize Cubicle Storage with a Variety of Cubicle Shelves – It's obvious due to the popularity of this article that people love cubicle shelves. This article is a compendium of the various shelves that I use in my cubicle as well as other options available to you. Enjoy! 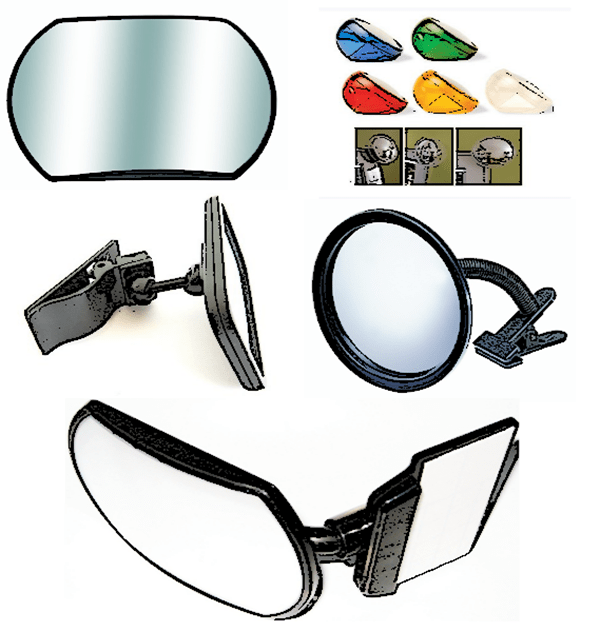 Watch your Back with a Rear View Cubicle Mirror – This monitor mirror is the coolest of all of my cubicle accessories. 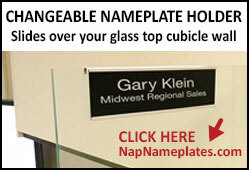 It is also the highest selling cubicle accessory on Cubicle Bliss! Since my back is always turned toward the corner of my cubicle, my mirror allows me to address anyone entering my office by name without turning around. It spooks them! 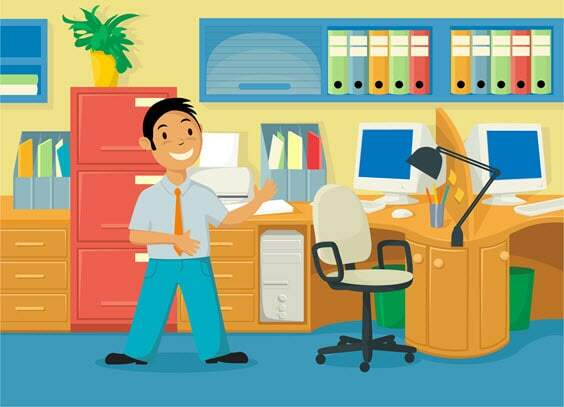 Enhance your Office Cubicle Decor with a Cubicle Shelf – This article is the most widely read article all-time on Cubicle Bliss. 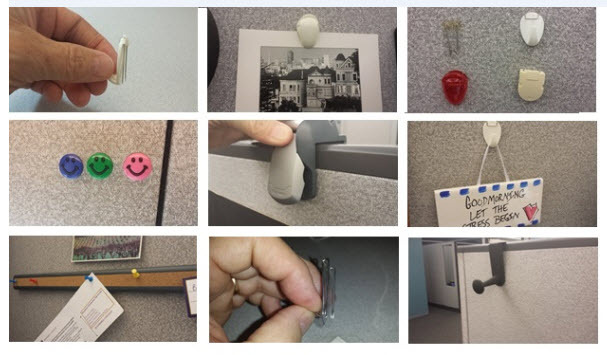 As a result, the cubicle shelf shown here is the 2nd highest selling cubicle accessory on this site. It's such a novel and unique shelf and in this article I show you how to hang it. Easy Peasy! I hope you enjoyed my Top 20 articles and explored many of them. 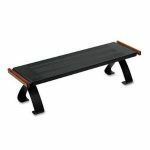 There's a world of cubicle accessories out there to enhance your small work space. If you like Pinterest, you might want to check out this article that talks about a very popular group board that I created a while back. It's my goal to find them all and report on them right here at Cubicle Bliss! If you have any questions at all on any of the items seen in my Top 20, please leave a comment or use my Contact Me page!